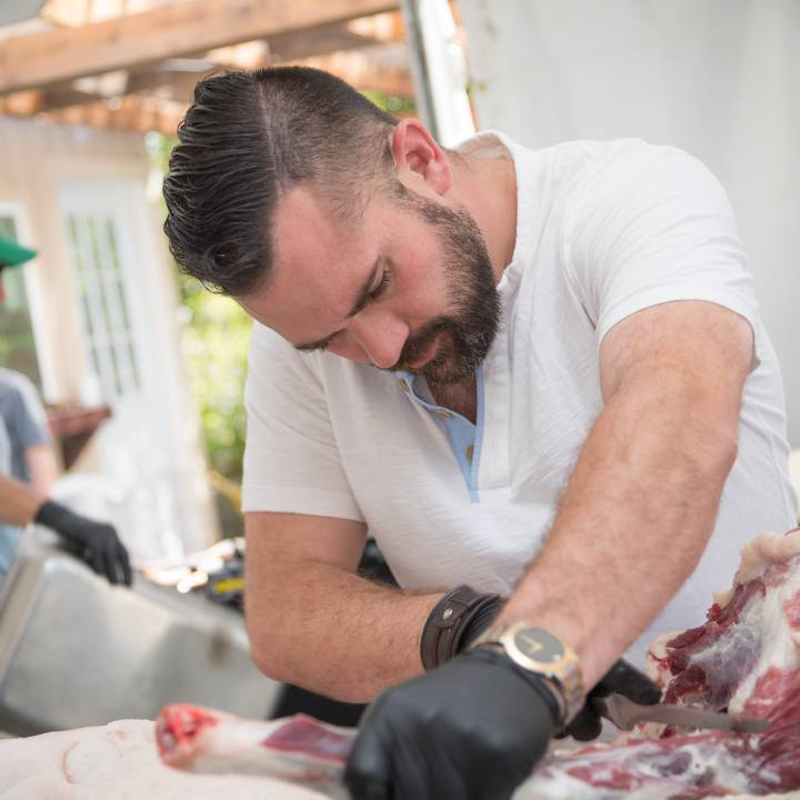 After earning his associate degree in culinary arts from the Culinary Institute of America, Matthew Beaudin fiercely pursued his passion for cooking by working across the globe, holding chef positions in the Caribbean, China, Rwanda and the West Indies, as well as each geographical food region within the United States. His experiences have enabled him to acquire a well-rounded palate, mixing his global travels with modern American cuisine deeply rooted in farm-to-table principles and the ever-increasing importance of food with a future. Matthew has run kitchens at jungle base camps, on private islands and at restaurants perched 10,000 feet up the side of a volcano. He began his commitment to sustainability and culinary education during his work in the village of Musanze in Rwanda. He continues to maintain strong ties with the community through his School for the Arts (The Volcano Arts Studio). In addition to the daily demands of his position as executive chef at the Monterey Bay Aquarium, Matthew finds joy and fulfillment in travelling to Mexico where he has the privilege of working with children at local orphanages, such as Casa Eunime among many others. He is also currently working with municipal operations to improve the nutritional opportunities and end childhood hunger in Mexico.